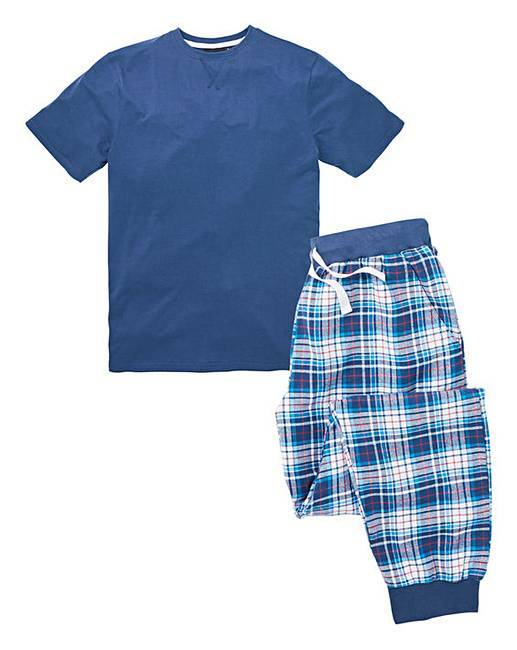 Navy Woven Bottom PJ Set is rated 5.0 out of 5 by 2. 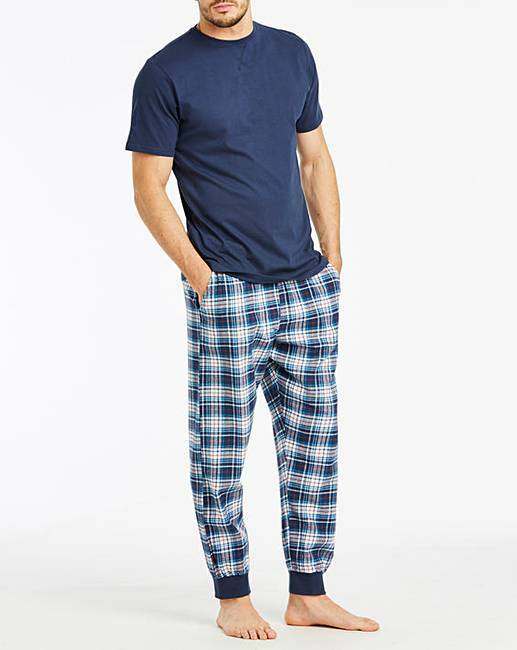 Navy print pyjama set with a plain navy crew-neck T-shirt and cuffed bottoms with an elasticated waist and drawcord with two side pockets. Rated 5 out of 5 by Clare from Superb value! 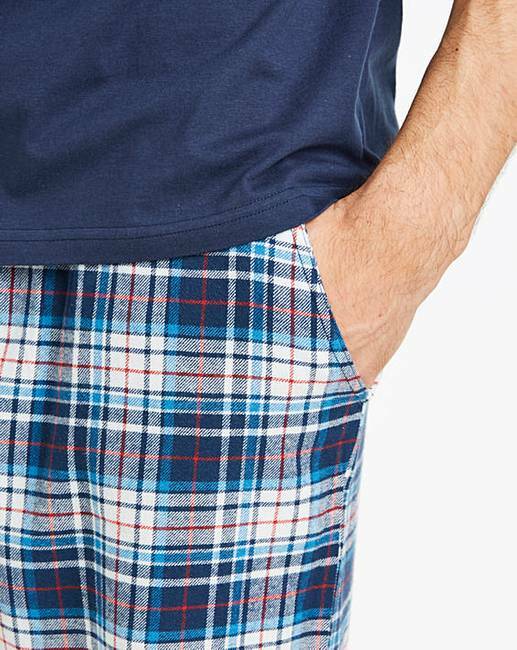 I bought this and am delighted with the quality, and sent very quickly after placing the order.